Get your Hands on Full Developer Rights, Powerful extra features, and everything you need to make Engagr your very own business empire. get access to Engage Chat Pro now! The Best Opportunity to create an additional revenue stream! Engage Chat is BRAND NEW Technology and will quickly gain momentum in the market. With its unique features and conversational engagement, you have something very special in hand. So why keep it all to yourself, when you can start earning better by selling Engage Chat pages! 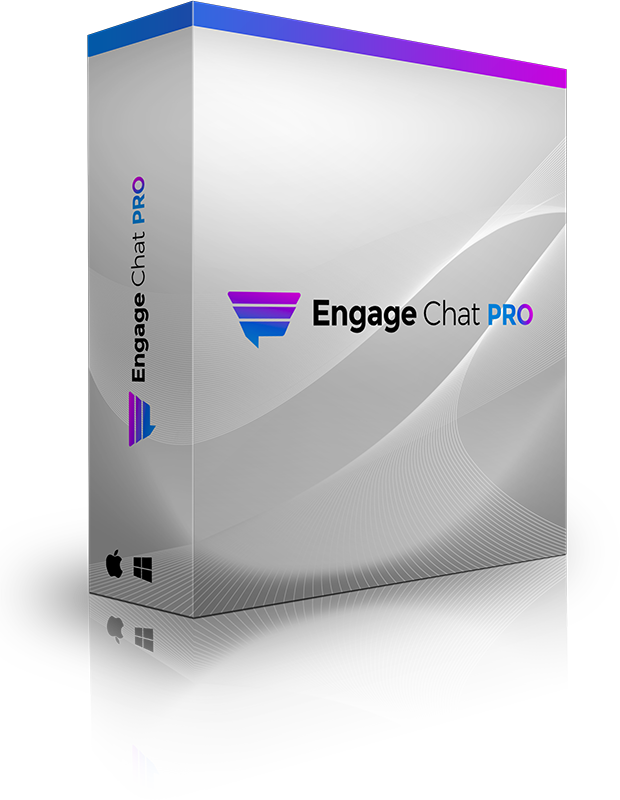 With Engage Chat Pro you can start selling immediately using our Premium Developer License. Get More Features Working For You & Your Clients! 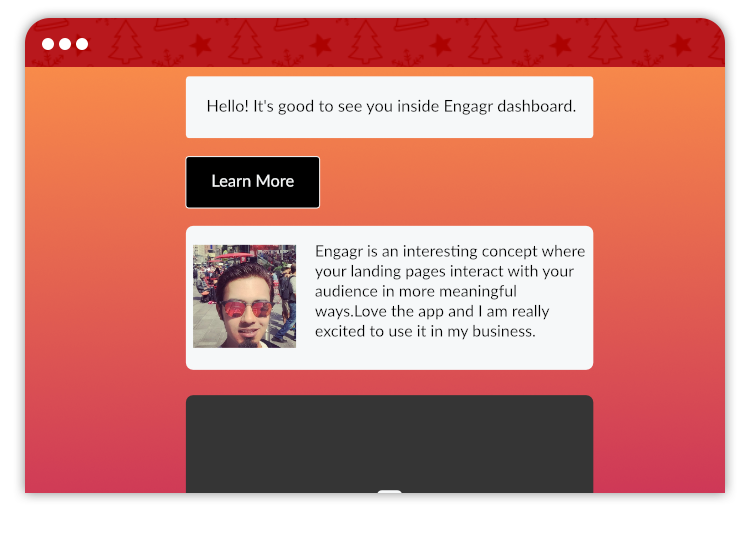 Amaze All Your Clients With Engage Chat Pro! 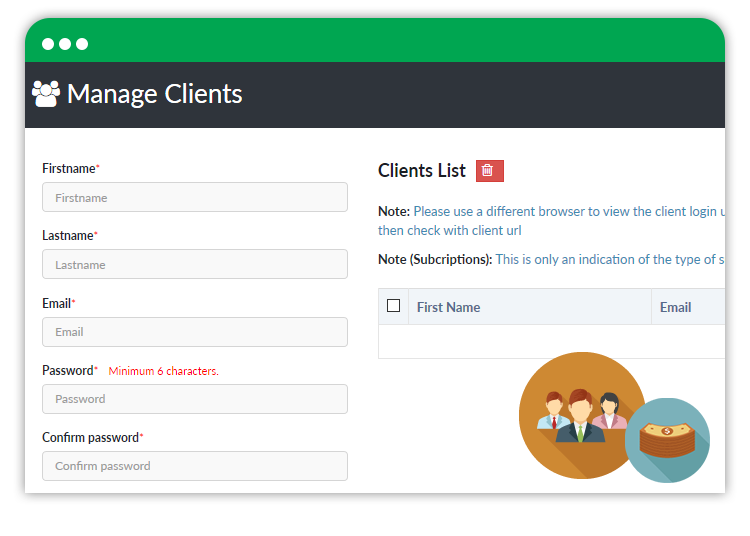 With Engage Chat PRO, you now have the ability to add contact forms and calendars to help you set appointments with your clients. This amazing feature alone not only benefits you on your Engage Chat Pages, but also opens up the way to recruit doctors, accountants, lawyers, hairdressers, beauticians and many other service oriented professionals to build up your money making empire. Engage Chat PRO Version ADDS Many More FEATURES! 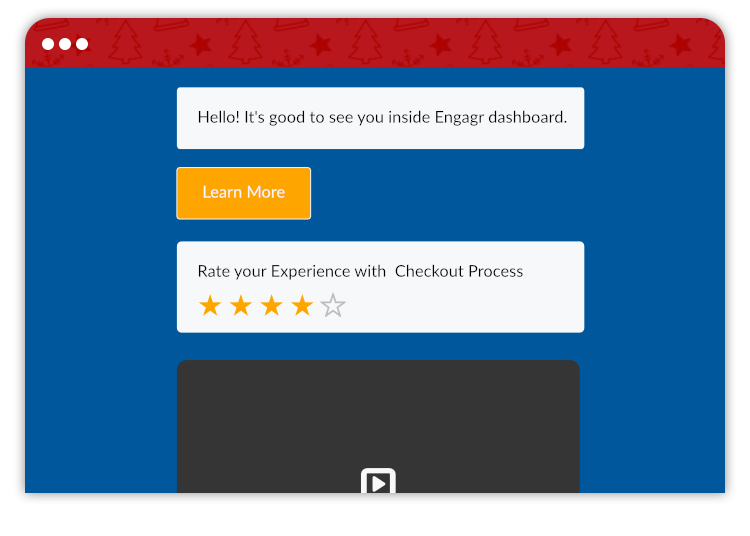 Add star ratings to your engagement and get direct feedback from your visitors. Feedbacks have become vital in our digital age. It's the only way to learn your visitors’ experience, while you converse with them using the engaging chat functionalities with Engage Chat. Making appointments through your page has never been easier. 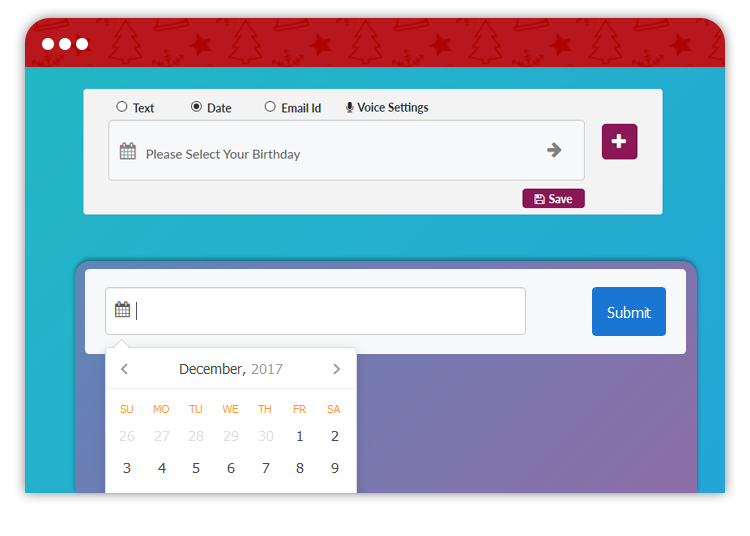 Simply add the contact form with or without a calendar. All these options are at your fingertips. 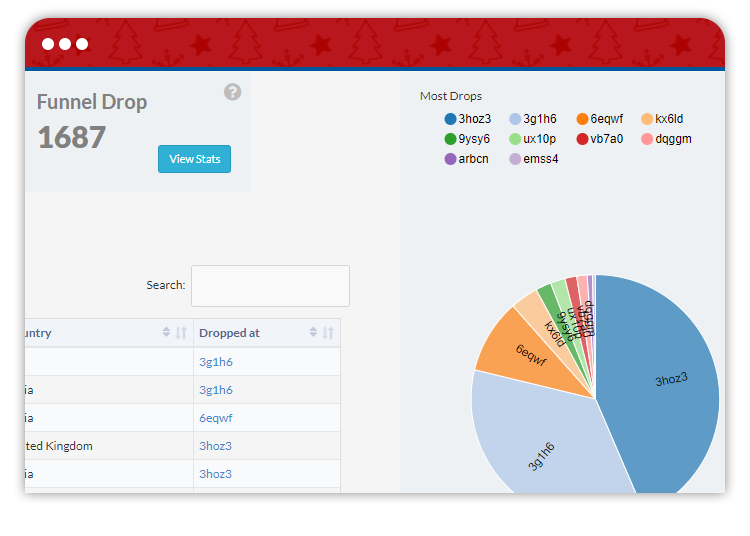 Test the effectiveness of your campaigns by knowing where your visitor drops out of your funnel of questions and answers. Optimize your engagement and make your sales go BOOM! Still using conventional landing pages? No worries! With Engage Chat Pro, you get our special WIDGET CODE to copy and paste on any widget section of your traditional pages. Let everyone experience the CHAT functionality of Engage Chat! 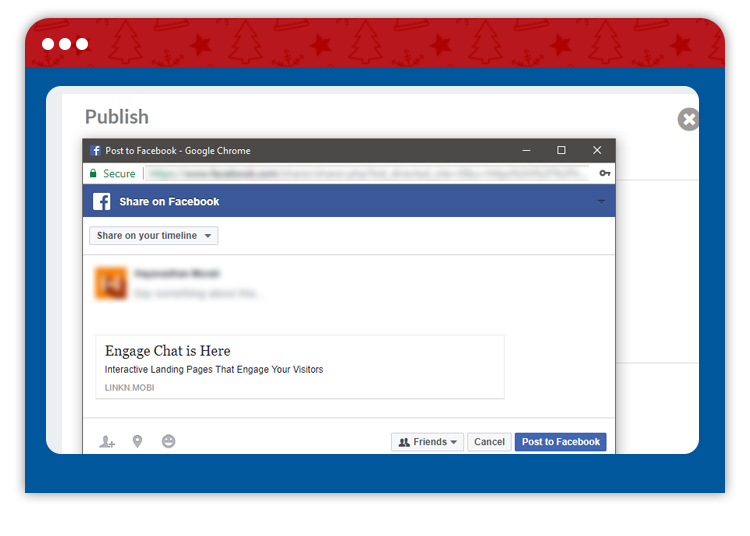 With Engage Chat PRO, easily integrate your pages and chats with Facebook Pages, Let Engage Chat simply add a tab on your Facebook page and your done! Easily add any testimonial to your pages to enhance authority and trust with your visitors. 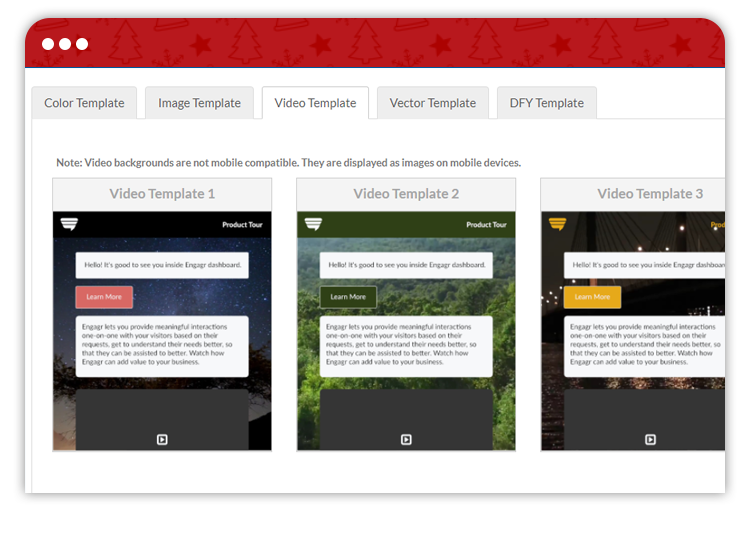 Simply add a video testimonial or image + text testimonial with just a view clicks. Get twice as many templates with your Engage Chat Pro Version. Choose from double the amount of templates for your own or client use! With Engage Chat Pro you will not be restricted in the amount of campaigns you build. 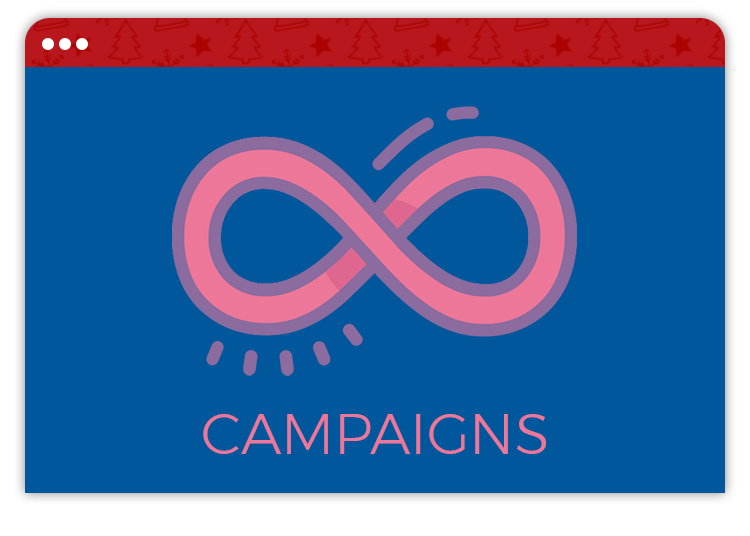 With UNLIMITED advertising you can build campaigns for you and for your clients, without any restrictions. Put Your Engage Chat Pages on OVERDRIVE! 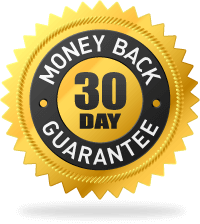 If you have any trouble using Engage Chat and we fail to help you resolve the issue, or you have not been able to generate any results, we'll give you 100% of your money back. We don't offer a no questions asked refund, so please provide a genuine reason and proof that you did everything we told you before asking for a refund. Please read the sales page carefully before making a purchase, results vary for various niches and depend on various factors so they cannot be guaranteed to be the same as ours on this page. We do not promise that you are guaranteed to make money from this software. and Leverage ALL Engage Chat PRO Features! I understand that i will not be able to upgrade later on for this special price.